We were over half an hour late. I was starting to worry that our reservations won’t be held anymore. Thankfully, the maitre d’ assured us that it was all right, then lead us to a table table for two. We were seated then fussed over by two people, pulling our chairs, unfolding our napkins. Such is the welcome we received at the Prince Albert Rotisserie, Hotel Intercontinental Manila. Upon stepping inside the hotel restaurant, it’s easy to see why its reputation precedes it. Here, the attentive service and cozy ambiance contribute to your dining experience. Instead of a large dining hall, the restaurant is divided into smaller dining rooms that hold just a handful of tables. The attentive will notice a lot of old school classy touches as well. 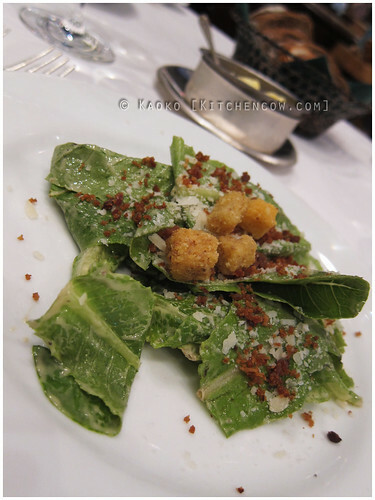 The Caesar’s salad was tossed tableside in a wooden salad bowl. The butter was served in little curls, nestled in a thick silver dish that kept them chilled. Half a serving. Would’ve wanted more. Before long, a silver cloche was wheeled near the table. 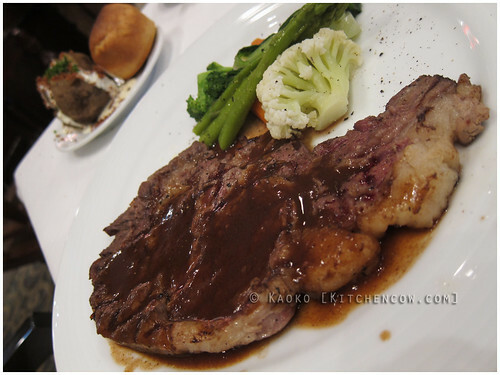 Once opened, we see a large prime rib resting inside. The carver slices our portions, then shows them to us, asking for our approval. “Would you like it grilled?” When we nodded yes–honestly, I was speechless with all the pomp and ceremony–they turned our plates over to the open kitchen to fire up the meat. Our plates came back with lovely slabs of meat, seared with faint criss-crossed grill marks. A pepper gravy was drizzled on top. 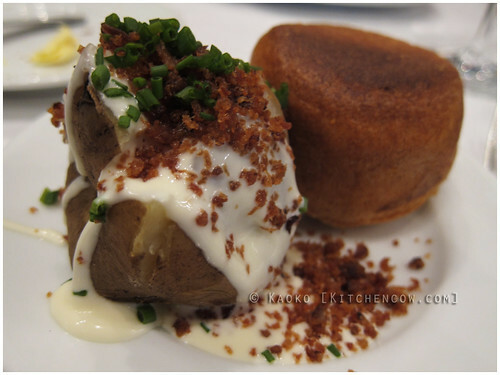 Steamed vegetables were served alongside it, while a baked potato topped with sour cream, bacon and chives, and a Yorkshire pudding were brought out on smaller plates. How are you supposed to attack a Yorkshire pudding? With your hands? With a fork? With a British accent? Eager to dig in, my first bite proved that Prince Albert is more than style. Their claim to having the best prime rib in Manila can well be true—at the very least, they’re definitely among the best. 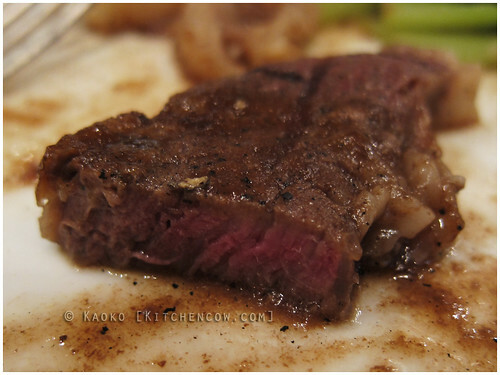 Each bite was tender and flavorful, thanks to the generous marbling. The sides were pleasant enough, but let’s face it. The meat was the star, and what a truly stellar rendition it was. Soon, the meal came to an end. 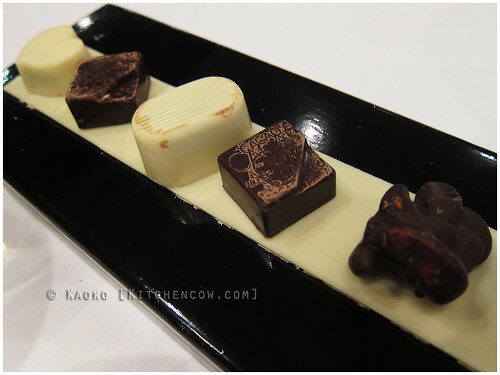 We received a small surprise though, in the form of a tray of chocolates, compliments of the house. A nice touch that I really appreciate, and I’m sure other people, too. Who doesn’t love little extras after all? Ah, Prince Albert. I’m no stranger to prime rib, roast beef and steaks. But I must say, that day’s Prime Rib was among the best I’ve had. I remember each bite fondly, even if I did plow into my food instead of eating it slowly. Could you blame me for wanting bite after bite after bite of that goodness? Tivoli Grill at Mandarin also serves excellent Prime Rib, but I think both of them have been at it for so long they’ve got everything down pat. So this was a coupon deal? I had no idea they offered one since I’ve been staying away for a while already. Yep. Bought it a couple of months ago but redeemed recently. A little over 50% off. Tumulo laway ko. Sana di masira itong keyboard ko. Don’t drool! Eat! Sugod sa Makati, Shakey!